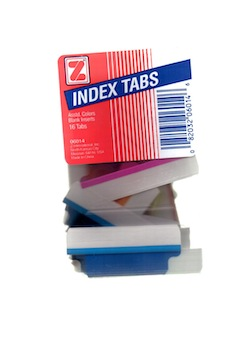 Peel and stick index tabs for folders, dividers, papers. Blank, white inserts included in each package. Permanent adhesive. Small, resealable clamshell measures 2 3*4" w x 4 7/8" h.